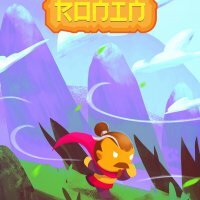 Lost Ronin captures the struggle and journey of a Young Samurai; a musical platformer.Lost Ronin is designed to give you an intense and memorable experience. The game has 18 Handcrafted levels grouped into six worlds.Each world brings new gameplay mechanics and elements with unique sounds to enhance fun! Lost Ronin has built with depth in the mechanics.You can choose to finish a level fast or take your time to master it! HAPPY ROASTING!!!! The game mechanics seems great. With graphics improvement like including characters with animations, expression when jump, smashed, dead may improve game feel. Game arts are nostalgic. Mechanics may use some variation. Nice mechanics. Liked the missile from enemy boss. Game graphics may use some polishing. Loved the mechanics. Level design is good. Enemy bump on wall feels so awesome. Game graphics is great, though UI may use some work.